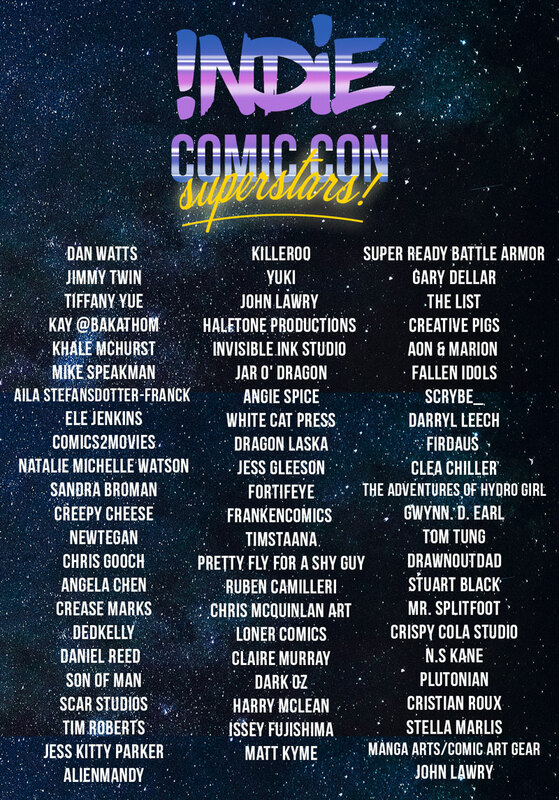 Indie Comic Con puts comics back to the forefront of a comic-con with our spotlight on indie Australian creators. 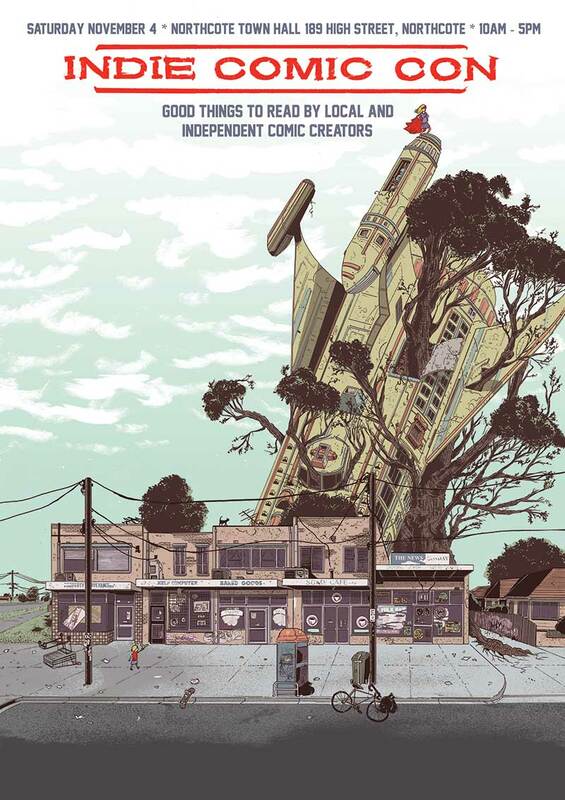 The comic book scene in Australia is vibrant and diverse, and we want to celebrate it with you! Our one-day event includes a stellar artist alley featuring a wide selection of comics, zines, graphic novels and prints across all genres. It's free and fun for all! RSVP via Facebook or Eventbrite! Our mission is to provide a platform for comic creators to share their stories, educate the public about the medium of sequential art, and inspire others to take up the pen, brush, keyboard and stylus. "Had a fantastic time. Stocked up on my Aussie comics. Met some awesome creators." "Wonderful atmosphere with a fantastic range of diverse graphic styles shown by the independent comic artists and writers. So much to choose from with very friendly creators to chat to. Great location in the Northcote Town Hall that was easy to access and surrounded by great cafes. Would recommend this for all ages and enthusiasts of art, comics and storytelling." "Thanks for a great day, catching up with everyone and getting some great indie comics. Look forward to the next one." As an independent creator, sometimes it can be difficult to connect with audiences. Indie Comic Con began when two local Melbourne creators were passed over for a spot in the artist's alley of a major comic convention in their own city. Not for lack of great comics, but because space was dedicated to fan art and pop culture merchandise. 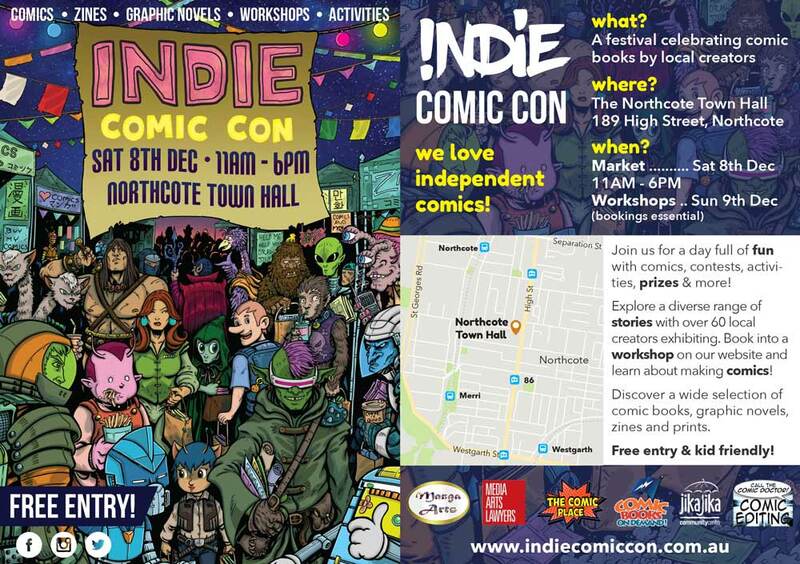 Recognising that opportunities for local and independent comic creators were limited in Australia, one of the comic artists decided to take matters into their own hands...Indie Comic Con was born! 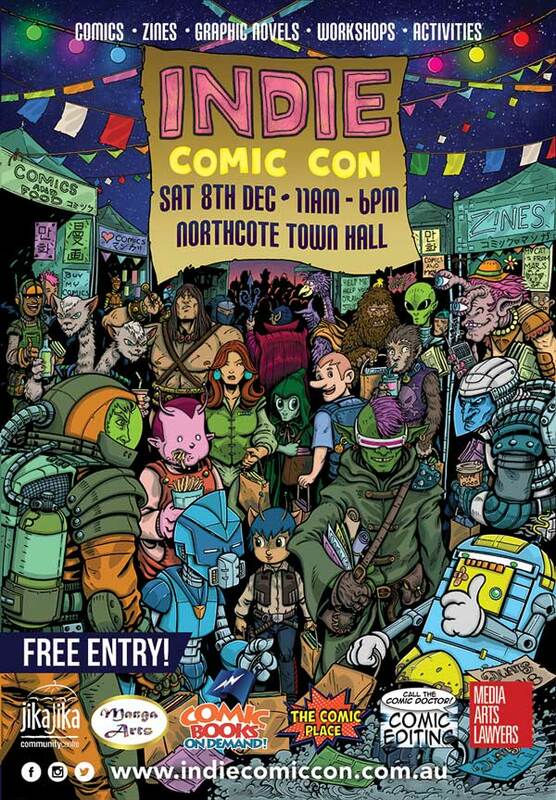 2017 saw the first ever Indie Comic Con featuring 40 independent creators exhibiting at the Northcote Town Hall. The inaugural event was a great success and we look forward to future editions and a bright future for independent comics in Australia.